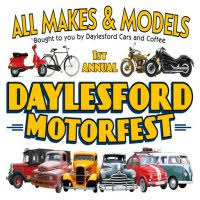 Hosted by Daylesford Cars and Coffee, the Daylesford Motorfest is set to be a fantastic family friendly event open to all makes and models of collectable vehicles spanning over the past 100 years or so. They’ll be food and trade stalls, displays and demonstrations, best dressed competition and live music. Entry: $5.00 per person with under 15’s free. $10 entry for display cars, including driver. Display vehicles from 7am. Public from 9am. Profits will be donated to local causes and charities.